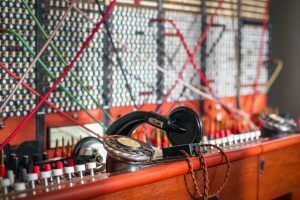 Telephone Exchange Systems have been around since the late 1800’s, though of course, they have advanced a lot since then. However, the actual process and basic principles remain the same. Back in the 19th century, originally young boys would be hired as operators, who would connect you to the person you are calling by plugging wires into what is known as a switchboard. Unfortunately, due to their attitude and immaturity, companies began hiring women as operators and whole rooms would need to be dedicated to their equipment and process. So, how correctly do these exchange systems work now? What are the benefits? How do Telephone Exchange Systems Work? Modern telephone exchange systems remove the manual necessity that was required hundreds of years ago, with an electronic component that does it for you. A function of the telephone exchange system is the way it is used in the public switched telephone network. Telephone exchanges can provide a connection for different systems including cables and satalites for instance, which means that they have the potential to connect international calls. The two types of main telephone exchange systems are either private or public. Private exchanges will be for a specific company or business. In other words, your internal communications. A public change system is used by you on your landline phone. So when you call your friends or family on a landline. The public network is a wired system that allows you to make and receive landline telephone calls; this is called a circuit. This can be local or international. A button or ‘switch’ connects and disconnects your call, and might be attached to your phone or the base of your phone. A speaker sometimes known as a ‘ringer’ tells you that you have an incoming call. You can hear the voice of your caller through the speaker. So you can speak to the person you have called or your caller. This allows you to key in the number of the person you want to ring. In modern times, there are so many ways for your business to communicate that you are never short of choices. For instance, using things such as mobile phones or tablets. However, you need to strongly consider what kind of telephone system you want to use, as often mobile phone networks can be unreliable and can cause a range of issues that can stop your business from functioning correctly. The different systems that are available to your company are endless and include; mobiles, landlines, self-hosted VoIP and cloud-based VoIP. Each one has its pros and cons, so you have to weigh up what is best for you and your company – which could very well require a robust mobile phone telecommunication focus rather than VoIP. It depends entirely on your situation. In the modern age, switchboards exist and operate in generally the same way but with modern equipment and electronics, but the big rooms and hundreds of operators can still be seen. Once your call has been passed on, it may take one of these paths. Local/National Call: This type of call is the easiest to do as a connection to the local network will likely to be possible physically. International Wired Call: The switchboard will likely have access to a physical cable that is connected to France via the north sea, so these types of calls are trickier but still quite easy to access. International Satellite Call: In the case that you want to call further out, like Africa for example, your network probably won’t have access to a physical cable. Your call will be sent into space, then be reflected on a satellite and sent back down to the person who you are calling. Are you ready to compare phone providers?